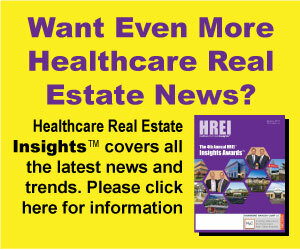 South Bend, Ind.— September 5, 2018—Strawberry Fields REIT LLC (Strawberry Fields), an owner and lessor of nursing homes, long-term acute care hospital facilities and medical office buildings in the Midwestern and Southern U.S., announced it has acquired nine skilled nursing facilities located in Arkansas, and one facility located in Kentucky in two separate deals. The combined purchase price was $42.4 million and Strawberry Fields financed the acquisition with the issuance of $33 million in secured corporate debt. The portfolio of nine properties were acquired from The Skyline Group. The buildings are expected to be leased in a master lease to entities consulted by Infinity of Arkansas and are expected to be branded under the “Waters” brand. The single property in Kentucky was purchased from a non for profit entity and was added to the existing Master Lease Strawberry Fields already has with the Landmark Group. Both groups are long time operators of Strawberry Fields. The Arkansas properties include 1,004 skilled nursing beds and are spread across the State. The Kentucky property has 120 beds and is located in Louisville. The Arkansas Master lease agreement contains a commitment by the operators to Inject over $2 million in the next 2 years in building improvements. “We are confident that we, and our operators, will show our long-term commitment to the communities we are serving,” commented Moishe Gubin, CEO of Strawberry Fields.